Dr. Bruckenthal, PhD, APRN-BC, ANP, FAAN is Associate Dean for Research and Innovations and Associate Professor at Stony Brook University School of Nursing. Her PhD in Nursing was completed at the University of Massachusetts, Amherst and her post-doctoral training at the Applied Behavioral Medicine Institute at Stony Brook University, Department of Psychiatry. A nationally and internationally recognized nurse scientist, educator, and clinician; Dr. Bruckenthal has devoted her career to improving the assessment and management of people with chronic pain. Specifically, her focus is on using techniques to engage persons with chronic pain in self-management. As a member of a multi-site, NIH funded research team investigating Nurse Practitioner led Coping Skills Training for Osteoarthritis Patients, she integrated the philosophy and skill of advanced practice nursing in the development of the proposal and in the delivery of the intervention. Part of her role was to conduct nurse practitioner training and supervision for the intervention. The application of this intervention has been expanded by implementing a formal training model for advanced practice nurses and other health professionals. Training health professionals in health behavior change beyond the current pool of mental health providers will increase access to care for pain and other chronic conditions requiring self-management. One of the most rewarding aspects of her program of research to date is being at the point of being able to translate the application of the large Coping Skills clinical trial into practice. Pain assessment is challenging, particularly among cognitively impaired elders. To address this issue, other research interests of Dr. Bruckenthal investigated an instrument to assess pain in cognitively impaired older adults unable to communicate information about their pain. As co-investigator of this multi-site study, she developed the psychometric assessment plan for the instrument and provided education to the nursing staffs in skilled nursing facilities on the use of this instrument. In addition, Dr. Bruckenthal was integrally involved in the development of in inter-professional educational and care delivery model to deliver preventative health screening and health promotion to older adults and vulnerable populations. The Partnership for Advancing Collaborative Education (PACE) center evolved from a partnership with Stony Brook Dental Medicine Center and has expanded to outreach community senior centers and transitional housing centers. Plans to expand the reach of this model to seniors through virtual connectivity are in development. In addition, the clinic functions as a faculty practice site, a training site for nurse practitioner, social work, and dental medicine students, and as a site for nurse faculty led research. After serving as Chair of Graduate Studies in Advanced Practice Nursing for six years, Dr. Bruckenthal accepted the position of Associate Dean for Research and Innovations. In this role, her goal is to foster excellence in faculty and student research largely informed by practice. She envisions several strategies to facilitate this plan. Faculty and students have the opportunity to self-declare research interests and faculty scholarship development needs. Together we mutually construct a plan to meet these needs and align them with the mission of the School of Nursing and foster collaborations with researchers and expert clinicians both within Stony Brook University and outside the campus walls. Resources to facilitate this process through expanding connections with multidisciplinary departments, including but not limited to, specific clinical departments, population health, biomedical informatics, computational science, and engineering have been identified. Her strong clinical background in pain management has provided her with the opportunity to become an expert in pain management education in the school of nursing, and to the larger community both regionally, nationally, and internationally. Regardless of the venue, she incorporates her teaching philosophy, based on experiential learning. Dr. Bruckenthal develops assignments that allow students to acquire knowledge and skills and apply these in relevant settings. Students are asked to reflect on direct encounters with patients (or phenomena under study) to enhance learning needs as appropriate. This cyclical process fosters students to build on prior experiences and apply new learning to subsequent experiences. Discourse through case presentations is an essential part of this process. Her clinical practice for over 25 years enriches understanding of phenomena under discussion in many instances. As science and its application is often an active dialogue between investigators and clinicians, using discourse as a teaching strategy sets the stage for lifelong learning that is integral to a profession such as nursing. Dr. Bruckenthal sits on several advisory committees with the goal of improving outcomes for people with chronic pain including the Pain Action Alliance to Implement the National Pain Strategy of the Center for Practical Bioethics, and the States Pain and Policy Action Alliance. She has served as an advisor for multiple doctoral projects on pain management. 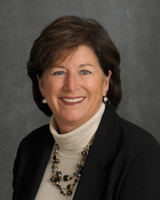 She is recognized nationally as an expert in pain management and has been asked to develop and advise on pain management curricula for the Medical Society for the State of New York, development a post-acute care cross-setting standardized assessment instrument in conjunction with the RAND corporation for Centers for Medicare and Medicaid, and a member of the Collaborative Education in Substance use advisory council for Harvard Medical School/Department of Global and Continuing Education. She is a fellow of the American Academy of Nursing and Advanced Diplomat American Academy for Integrative Pain Management, has served as the President of the American Society for Pain Management Nursing and is an Associate Editor for Pain Management Nursing. Doctor, J.N., Cowan, P., Meeker, D., Bruckenthal, P. Broderick, J.E. (2016, October 4). Encouraging integrative, non-opioid approaches to chronic pain: A policy agenda, Retrieved from http://healthaffairs.org/blog/2016/10/04/encouraging-integrative-non-opioid-approaches-to-pain-a-policy-agenda/. Bruckenthal, P. (2016)Pain in the Older Adult. Brockelhurst’s Textbook of Geriatrics and Clinical Gerontology, 8th Edition. (Howard Fillit, Kenneth Rockwood, Kenneth Woodhouse Eds. )Saunders-Elsevier. Morgan, C., Bruckenthal, P. (2016). Revisiting the Role of Opioid Analgesics for Simple and Complex Patients with Chronic Pain. Sponsored by the Medical Society of the State of New York and The New York State Office for Alcoholism and Substance Abuse Services. Bruckenthal, P. (2016)Nurse Practitioners can Effectively Deliver Pain Coping Skills to Patients in the Community Setting. The Nurse Practitioner Association New York State 32nd Annual Conference. Niagara Falls, NY. October 1, 2016.